We present the techno flexing of the former Ancient Methods man, Baeks. Before that workout, tracks from Flint Kids, House of Black Lanterns, Robert Pain, Radionasty, Makaton, ADMX-71, Violetshaped, Savagen and loads more. Baeks, formerly one half of industrial techno heavyweights Ancient Methods is all up in this weeks showcase session. In early 2012 there was a consensual split between the behemoth production duo. Former partner Trias continues to record and perform as Ancient Methods. Baeks focuses on Robot Army Berlin, a crew he’s been involved with since ’09. Throwing parties in his native Berlin, they are regularly heard at many of the city’s respected underground venues, as well as further afield. He first saw his music released back in 2000 on Rampe-D Records. In 2005, Baeks, with his long time DJ mate Trias, started recording together as Ancient Methods. The first AM release would drop two years later in 2007. They’ve worked with Regis as Ugandan Methods, Adam X on the Cardiac Dysrhythmia EP and if you’ve been lucky enough to catch AM flexing their intense might on a dancefloor you know why they are one of the most revered hard techno punishers out there and a huge favourite at the Darkfloor hive. 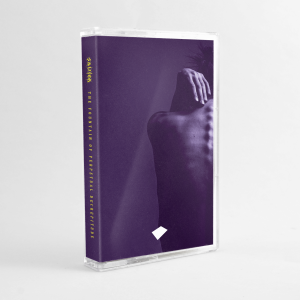 Together with a friend and publisher, Baeks also records music as coan – a project he describes “kinda ambient-dub slow-down music”. Their first release together, a session-track on limited miniCD is forthcoming and they’ll be making their debut performance March 16th at willst du mit uns gehen ? An old hand at techno, having been a resident at Tresor during the 90s and 00s where he hosted the new talent night Headquarters, Baeks knows how to work a crowd and program a killer mix. And that’s exactly what he’s delivered for Mantis Radio. The mix is kind of a sonic “vintage” journey through the last years with records from the mid 90’s til now and a few breaks to take a breath. 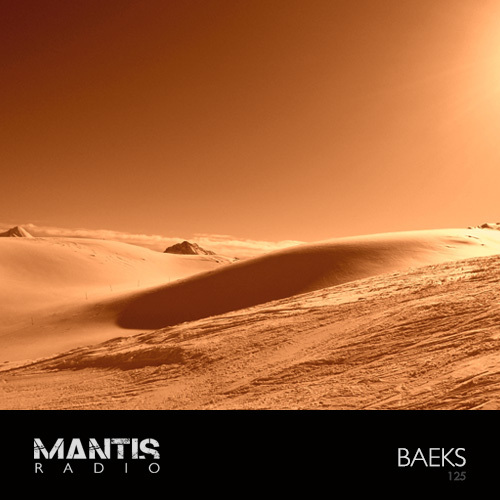 This week’s session for Mantis Radio is an hour of vinyl mixed by a guy who knows what he’s doing and where he’s going.